This film goes by the name Pocket Money on Netflix, so that's the name I'll be using for this post, but be aware that it's probably better known as Small Change. It was directed by the great French New Wave filmmaker Francois Truffaut. I mentioned in an earlier post that Wes Anderson frequently mentions that this film has been influential to him as a filmmaker. It's true, Francois Truffaut, has been a major influence for many great filmmakers throughout the years, so when I saw the film Pocket Money on Netflix I had to make the time to check it out. Both Wes Anderson and Francois Truffaut have a similar interest in childhood. It's that period of time that no one really gets over, and here in Pocket Money, Truffaut has some specific things in mind he wants to tell us about kids and childhood in general. His 1959 film The 400 Blows, was a look at his own childhood. Known to have been somewhat autobiographical, The 400 Blows shows us a misunderstood child named Antoine Doinel, going through a rough patch of time during his upbringing. The character of Antoine Doinel, played every time by Jean-Pierre Léaud, was then revisted in 5 other films as both Léaud, and Doinel got older. In many ways Pocket Money is the exact opposite of The 400 Blows. It's a much happier look at childhood in 1970's France. There is a darker side however. Julien Leclou (Philippe Goldmann), is a character fairly similar to Doinel in that he is a bit of a loner, neglected by adults and tends to fend for himself which causes him to pick up some bad habits (theft being only one of them). It isn't until later in the film that we realize that he is abused at home, and the discovery of this has a bit of a big impact on the small, otherwise, safe community. It's as if Truffaut wanted to show that even in a happy community such as this, it's possible for a not so happy story to be playing out, and it can have a big impact on everyone else. I found this film to be similar to the film Taste of Tea (which is a film I like a lot), however instead of following close-knit family in Japan, we are following a small, close-knit community in France. It also reminds me a bit of Jacques Tati's 1967 film Playtime. All three films seem to meander through a series of events, while we tend to wonder where it's going, however unlike Taste of Tea (which is more just a fun and touching experience) Playtime and Pocket Money have more meaning for us to take home. I think it's interesting that all of these films are so good despite breaking the convention of having a normal film structure, or even a central character. It may be about a small community, but it's very much told through the children's perspective. Truffaut, always a master of perspective, does a good job of directing us, the audience, through these series of events, showing us what we need to see to drive his point home while at the same time keeping a light-hearted "funness" to the film. I've mentioned before that I enjoy films that take us somewhere we haven't been and show us interesting people and how they live or how they experience life. I think there is a lot to learn about life from seeing it through someone else's eyes. Clearly that is Truffaut's intent with this film. Children experience life a little bit differently than adults, and it's this difference that Truffaut shows us and mentions several times throughout the film. We watch in horror (as any adult would) as a small child, named Gregory, climbs onto a window sill and falls out of the window. He lands several stories below on the grass, but much to our surprise he is unharmed. You aren't meant to take this scene literally, Truffaut is showing us that children don't have the same fears we do. Shortly after this scene two adults have a conversation to further explain Truffaut's meaning. They mention that kids are much tougher than we are, even if they are injured they recover much quicker than adults. They can laugh off something frightening that would deeply affect an adult. When we find out about the abuse case, we see how it affects the rest of the community. Two of the teachers from the local school have a conversation about the abuse case, and they say something significant that I think is interesting, and something we don't give much thought to. He says that life is almost easier for adults, because if we don't like things the way they are, we are free to pack up and head for a new situation, whereas children are completely stuck in their given situation. They are forced to live through it, and that will shape how a child grows up. As you might expect, after news of the case breaks, the teacher has to speak to his class about it, and during this fairly lengthy speech he essentially lays out the moral for us. 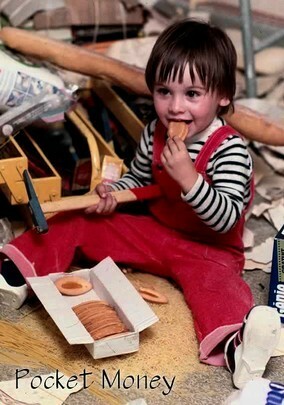 The previous points are among the points Truffaut has intended for us, but he also wants us to remember that a child who has gone through a tough upbringing is often much more prepared for adult life than someone who may have been more pampered while growing up. Sadly we realize that a tougher upbringing can also cause an individual to grow up a little more dysfunctional than others, especially when it comes to human interaction. Generally speaking I am against too much didactism in film. I think some is ok, but at the end of this film the scene in which the teacher basically explains the moral of the film to us as he talks to his class, is a fine line to tiptoe around. Normally I would simply point to the old rule "show, don't tell." I would normally think this type of scene is too heavy handed, too dialogue heavy, to much tell, too little show. When watching The Dark Knight Rises, I am always bored to tears by the overly lengthy, dialogue heavy, yet arguably necessary scene in which Alfred (Michael Caine) explains to Bruce (Christian Bale) that he never wanted him to come back to Gotham. It goes on way too long, and feels out of place in an otherwise fast paced film. However, here in this film, Truffaut just spent the entire movie showing us, and (this being a very non-traditional film) we almost need that scene to bring it all together for us, and it is necessary in that setting to have the teacher talk to the kids in his class. So despite what I would normally tell you, this scene works. It turns out to be another example of how Truffaut was a master of breaking convention and still creating masterful pieces of art. Truffaut, and the other French New Wave filmmakers, were very daring for making films that break convention in so many ways. In all honesty I'm not sure you could ever go to a Producer these days a pitch them films like Pocket Money, Taste of Tea, or Playtime. You'd have to foot the bill yourself. They are too experimental, too meandering to be accepted by a large audience. These films experiment NOT with the process of filmmaking itself (although French New Wave Filmmakers were known for doing that too) but they DO experiment with the types of stories being told and the way they go about telling them. These films are not films for everyone, but I love them, and I think it's a shame that filmmakers don't really experiment with the medium of filmmaking as much as they used to.